There was always a need to revolutionize the job system for married women. They, who wanted to get back to work after marriage or after having a baby or suffering a tragedy, face a lot of difficulties in resuming their careers. We all know that the Indian society is a bit thorny towards a women’s career. Sadly, that’s an unsaid fact. 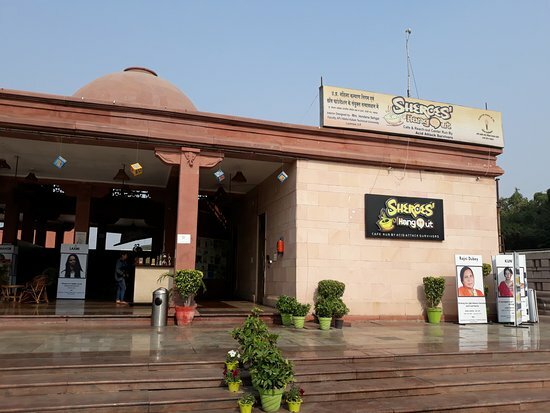 But, we are fortunate enough to have initiatives like the SheRoes café in Lucknow, situated opposite to Dr. Ambedkar park in Gomti Nagar. It is an initiative by Alok Dixit, founder of Sheroes, and Chhanv Foundation. 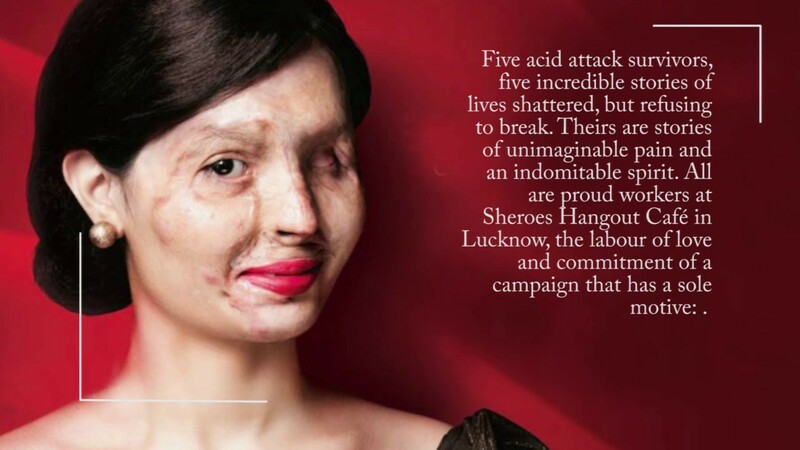 It came into existence when the them Chief Minister of Uttar Pradesh, Mr. Akhilesh Yadav, was intrigued by the idea that a cafe can support acid attack survivors. Sheroes Lucknow was opened in collaboration with Uttar Pradesh Mahila Kalyan Nigam. This café like no ordinary one, is run by brave women. 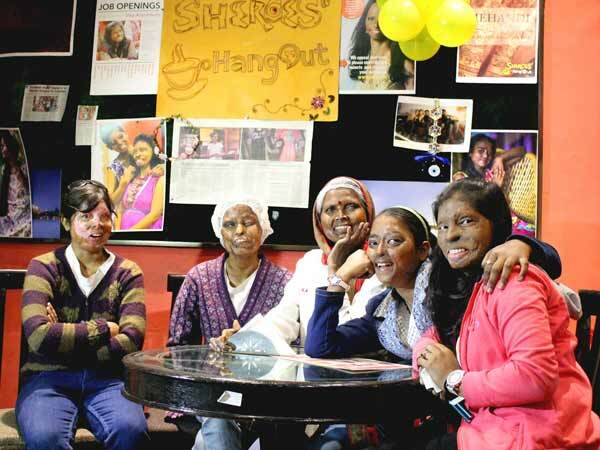 These brave women, who are acid attack survivors, make the existence of SheRoes café so special. Akhilesh Yadav thought of opening many such cafes in Uttar Pradesh to support more women. 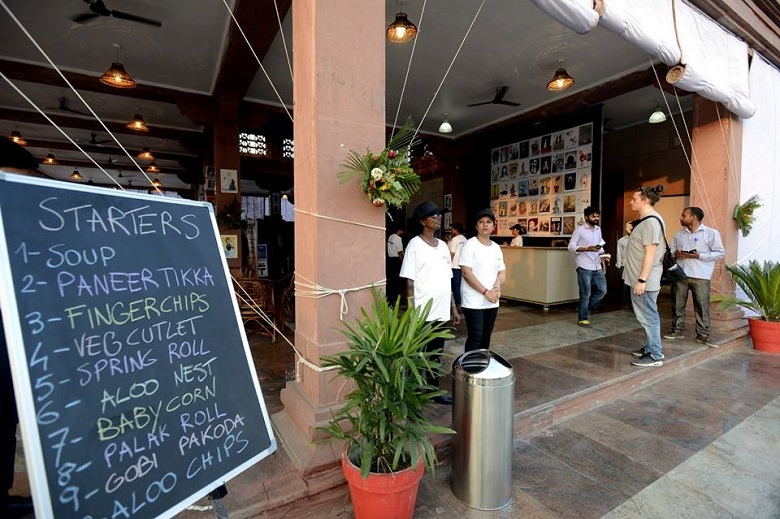 However, recently the present UP government has ordered to close down the Sheroes cafe. The Uttar Pradesh Mahila Kalyan Nigam has stated that it does not want to continue this project without giving a good reason. But that’s not right. We are going to give them reasons why Sheroes Lucknow must not close down. The place is special because coffee and inspiration are served on the same table. 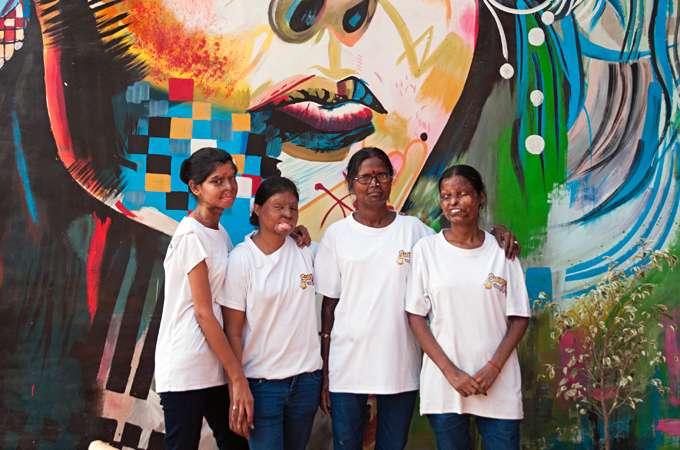 1) It is run by acid attack survivors, women who dare to live their life. These women come from various spheres, and some haven’t even visited a restaurant before working here. They are out casting the tag of “victims” and renaming it as fighters. This is one café in Lucknow city where inspiration and coffee are served on the same table. 2) If you follow them on social media, you would find that they keep on hosting events like book launches, debates, music events, open mic sessions, social awareness program, etc. It’s very hard to find such a happening café in Lucknow. You can follow them today itself to stay tuned with the events at Sheroes café Lucknow! Recently we have spotted Darsheel Safary when he had come to perform his gig in Lucknow. 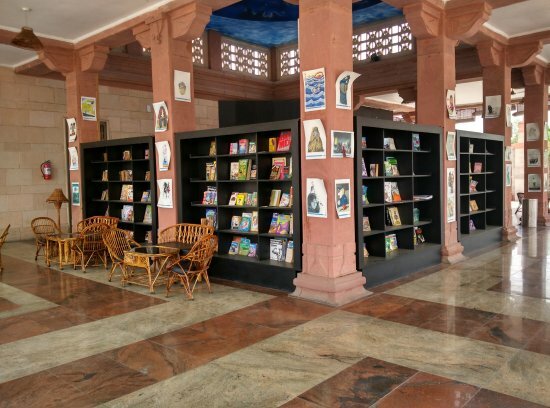 3) It’s one of a kind of place which can spark the bibliophile inside you. They have a shelf full of books to read. Even kids’ books are available at SheRoes café Lucknow. It’s best at evening, where with a coffee mug, you can enjoy you a good read peacefully. Consider dropping in at the Café in the evening soon. 4) Great news!!! This café also sells hand-made jewelry and crafts. These jewelry items are made by Kavita Verma, an acid attack survivor who works at SheRoes Café Lucknow and recently started making paper jewelry. She makes some really colorful earrings and bangles which can go very well with your next ethnic wear. You will not return without carrying a shopping bag while coming out of SheRoes when you visit there. #SheDreamsAgain. 5) A coffee/tea is always served with an ear to ear smile. Not only the coffee served to you is warm but also people serving them are warm-hearted. Some of the brave women working there at SheRoes are supporting their family or their own case hanging in the court. They are not just brave but also beautiful inside out. You can also volunteer to be among them in the cafe in your free time. And trust me, it will give you a lot of peace! 6) The Sheroes café menu has variety for everyone. I would recommend you to try out their Thali, in case you are really very hungry. For casual takes, try SheRoes hot spicy vegetable noodles along with aromatic coffee. In fact, you can have this foodgasm at home also. SheRoes Café has collaborated with food delivery companies like Zomato, Swiggy, etc. to deliver food at your doorstep. 7) Sheroes café Lucknow provides you an excellent opportunity to meet real life Hero. An acid attack survivor takes about 3-4 years to recover from the injury. The injury leaves scar physically as well as on their seft-esteem. Here at Sheroes hangout Lucknow they undergo behavior training to rejuvenate their life. Also, they are associated with King George Medical University (KGMU) where they undergo dozens of plastic surgeries. It takes a lot to become Sheroes from a Survivor. Sheroes Lucknow are undergoing a financial crisis. They might have to shut down their hangout café in Lucknow. Here is how we can help them. We can sign the petition and not let this beautiful place go away. Here is the link to sign and help them saving the means of their survival and dignity. This place means a lot to them, it helping in gaining their dignity and self-esteem back. I have signed it, lets not let this go anywhere. Sheroes is a remarkable effort in helping in uplifting their self-esteem, which is belittled by some members of this society. This place welcomes you so warmly that you can't help but endear them. It is an inspiring hangout, where you can actually find your inner peace. It tells us the stories of these brave spirited women who refuse to bow down and instead become warrior from survivor. You can find warriors like these in Agra and Udaipur, where new waves of feminism are inspiring to all. It means, you will find SheRoes Café in Agra and Udaipur as well! Interestingly one such kind of place is ECHOES café in Delhi and Bangalore. Haven’t heard of them.??? neither have they!! Sanchaari has given the fruit its due! The emotional home is calling!